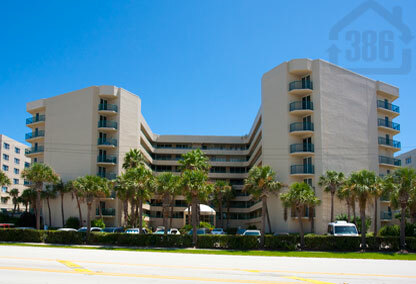 Located in Ponce Inlet, Florida you will find the Towers Four condominium. Towers 4 offers luxury and affordability for the luxurious lifestyle you’ve always wanted. Enjoy all the comforts of home, and more, from these oceanfront units that will be the envy of friends and family. Explore all that beautiful Ponce Inlet has to offer from this beachside paradise. This direct ocean front paradise features all the amenities of a first class resort. Floor plans include 2 bedroom and 3 bedroom options on the oceanfront or with river views. Some units at Towers 4 include additional screened in lanais that add square footage and more room for family and friends.